These are wonderful paint by numbers on canvas stretched on a wooden frame complete with wall hanging fixings so not only can you paint a beautiful picture now you can hang it up for everyone to see. 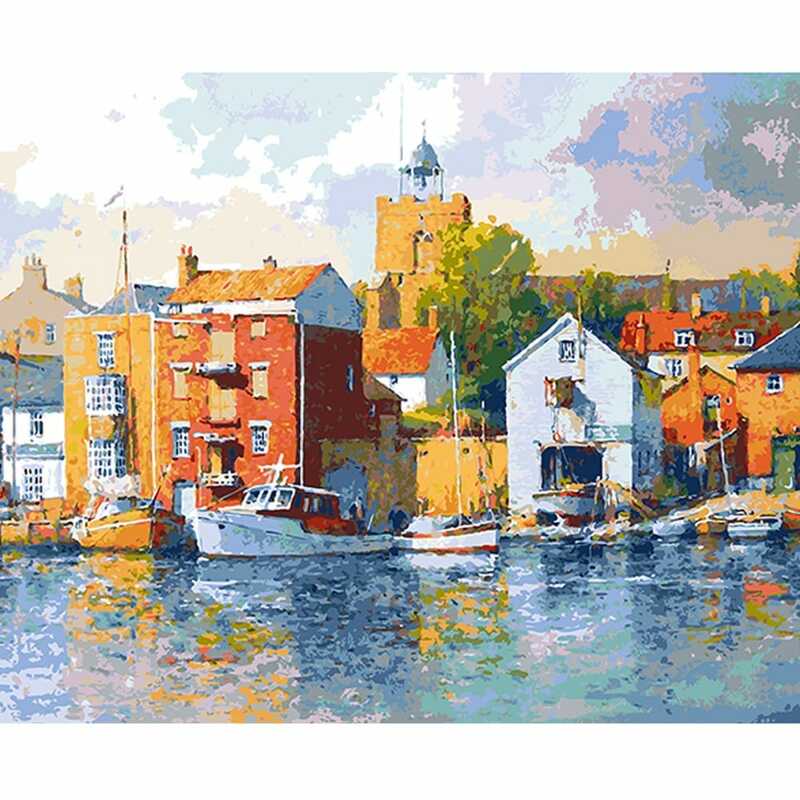 This pretty picture of boats on the water with the reflections of colours on the water and the brightly coloured buildings around the harbour will be a delight for you to paint. The kit includes the pre-printed canvas, acrylic paint colours, complete instructions in English (with tips and suggestions), numbered painting guide, paint brush, brush cleaning cloth and picture hanging fixings. Before you start to paint see the back of the box and use the coloured cord to make up the brush/paint holder and push out paint palette.